Understanding "Taming the Meta Language"
TL;DR: there’s a language and there is a meta language. Language is the actual source code. Meta language is everything above the language: tests, comments, IDE features, documentation, examples, tutorials, blog posts, books, videos, tech talks and conferences. We use meta language to learn the language. Things get more fluid when we move concepts from meta language down to the language itself, which in turn allow us to make the new meta-language even more high level and richer for the same amount of energy spent. To help better understand this, I came up with a bunch of examples. Just by naming the variables we were able to pull down information that used to reside in meta language into the language itself. The C version of our code contains much more information than the assembly one and its meta language can be more high level. Now it doesn’t have to duplicate and document what’s already in the code, like the fact that the function takes 2 arguments, the first is mass and the second is radius. However, there is still some context missing from the code – the units which the function operates on. These would have to reside in the documentation for the library (meta language). We can use a simple trick and rename arguments to mass_kilograms and radius_meters, but there is no language built-in system in place that can guarantee that only kilograms and meters are passed into this function. By the way, not a joke, when calculating Earth’s escape velocity I found a bug in my implementation because of OCaml types – I was passing mass in a wrong unit. The type checker will point us to every place in the source code that needs to be changed in order to support the new units. Let’s imagine there was a new fundamental discovery in physics that makes our naїve escape velocity calculation obsolete. How do we deprecate the old function? We can put this fact into meta language by adding a comment to the documentation or writing a provoking Medium post. But it’s much more constructive to bring this information down into the code itself. We can use the same trick as before with the C function and rename escape_velocity to escape_velocity_DEPRECATED or something bizarre like that. However it will mean our API change will break client code, it’s also non-standard (anyone can have their custom suffixes) and it doesn’t really suggest a better method to use. Visitor Pattern and for loops → map/filter/reduce. In university I was taught about the Visitor Pattern, but now it’s super simple and is part of many languages standard library. It’s good to keep in mind that no amount of lowering things into a language will solve the human communication part. However, by evolving the language we are opening opportunities of a much more efficient communication. See also: Sebastian Markbåge’s talk on minimal API surface area, Jared Forsyth’s talk on type systems. 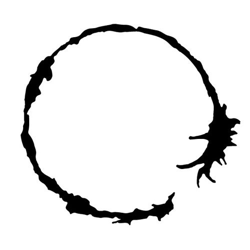 Oh, and the Arrival movie, it’s really, really good!